Gurston Down’s 2016 season came to it’s final conclusion with it’s Annual Dinner and Awards at The Royal Chase Hotel in Shaftsbury. More than 80 people attended. 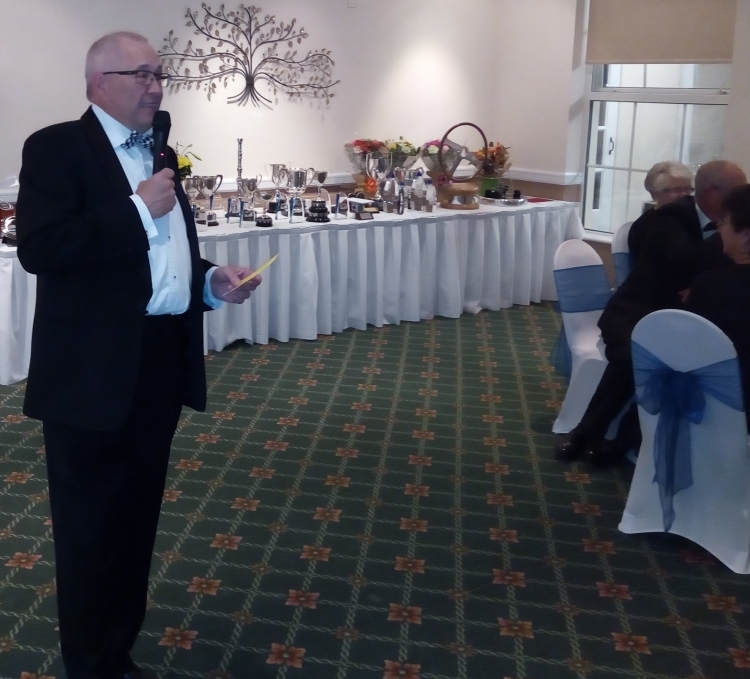 Dave Wickham, the BARC SW Chairman gave his first formal presentation speech, introducing all the the 2016 award winners and class champions. 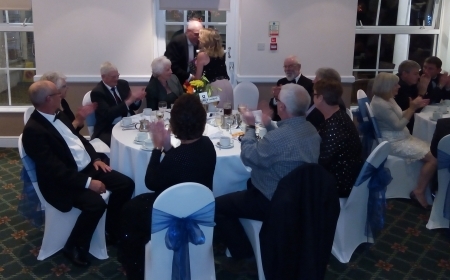 Thank you to all those who set-up the room and liaised with The Royal Chase Hotel to create such a great evening! Congratulations to all the winners. In particular the 2016 Gurston Down Meadens Skoda Champion, Stephen Moore who clinched the championship on his final run in the September meeting and to Simon Marsh for winning the Cavendish Ships Stores Gurston Down Top Ten Challenge! And to all the other class and award winners! There were two awards not previously announced. The John Forsyth Endeavor Award winner was Paul Hearne for his selfless help to those stranded with issues at the Hill Climb School days and for fixing the “un-fixable” start-line timing screen! The Stan Hunt Memorial Trophy was awarded to Andrew Hext for his tireless work at the Hill Climb School, amongst other things! And thank you to all those who attended and to Becky Crocombe for her organisational effects! Roll-on 2017! It’s our 50th Year! See you all next season!